Stay up to date with news from town events, Chamber updates and more! If you have a news story you'd like to have featured, please tell us more - email us today. Volunteers are needed for our Haunted Village at Kawartha Settler's Village on October 21st from 6pm-9pm. It is supper fun, and a great opportunity to obtain community service hours. Email info@settlersvillage.org! Welcome to another gathering of the Bobcaygeon Fall Fair. It is an honour for me to be the President again. I want to thank our secretary / treasurer, Lisa Humphries, Board Members, many Volunteers, Vendors, Exhibitors and the Attendees for all their hard work at making this happen. We hope you all enjoy your visit to the “Daddy of 'em All” and appreciate the many samplings of entertainment and agricultural displays we have assembled. Canada/U.S. Walleye Tournament is almost here! *5:00pm or 3:00pm - On Stage Prize Presentations - Open to the Public, Come and see all the winners! *Weigh in time is dependent upon weather conditions, a warm weekend means earlier weigh in time and earlier presentation time. Awards of Excellence Tickets Now available! 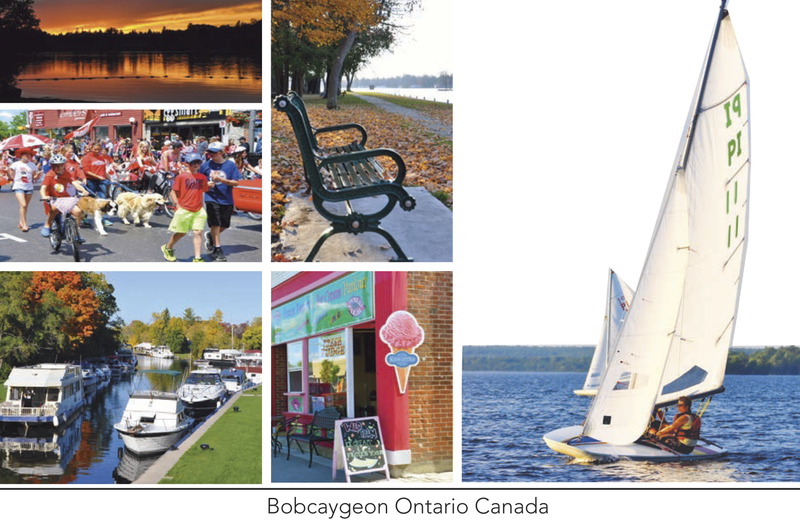 These beautiful postcards showing 4 different scenes and activities in and around Bobcaygeon are now on sale at the Chamber office beside the locks..
One set of 10 postcards is $5. A set (10) each of all four = $20. This works out to .50c each. They are on sale to the public at the Chamber office for $1 each. Members who purchase postcards will also have their business names or logos posted on the website for additional exposure of "Where to find BOBCAYGEON Postcards for sale." New Bobcaygeon Bulletin - Winter Edition!